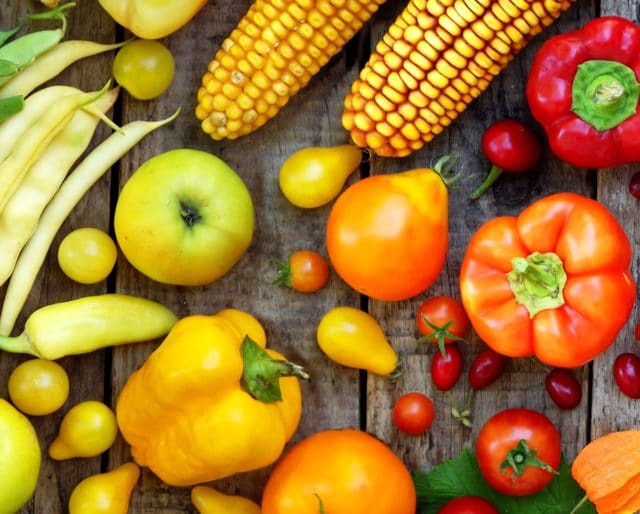 Celebrate National Fresh Fruit and Vegetables month this June with these colorful and tasty foods. Fruits and vegetables provide a variety of nutrients, vitamins, minerals, and fiber — while remaining naturally low in calories, fat and sodium. In addition, they lower your risk of developing certain chronic diseases — and help you maintain a healthy weight. Whether you fancy a market, or just grow the fruits and veggies at home, enjoy any combination of these delectable delights to kick off your summer right. ​Global production was 24.2 million tons, with the two nations accounting for 74% of the total. They now make up nearly 85% of the total watermelon sales in the U.S.
​​Brussels sprouts came to the U.S.
​​Production of brussels sprouts in the U.S. began when the French brought them to Louisiana. ​Recent archaeological and paleoenvironmental evidence in the Western Highlands Province of Papua New Guinea suggests that banana cultivation there goes back 7,000 years. As summer kicks off and and barbecues are blazing everywhere — why not host a gathering with a cool, refreshing change of pace? Provide your friends and family with the nutritious and healthy alternative of fruits and vegetables. When it comes to smoothies, there's no exact science. Whatever ingredients your heart desires — that's the correct recipe. Treat yourself to a snack that has infinite varieties. Start your own garden by simply planting a fruit tree or vegetable plant. Enjoy the “fruits” of your labor as you dine on the freshest treats right from your own backyard. ​The Panama Disease all but wiped out an entire species of bananas in the 1950s. The bananas we eat today are actually all cloned from a single banana plant in southeast Asia — meaning that every single banana is exactly the same. ​Watermelons can keep you hydrated. They're thick-skinned and 92% water. Explorers would carry watermelons around so they had something to drink that would keep them from getting dehydrated. They're packed with vitamins and minerals, and have virtually zero calories, no fat, and no cholesterol. The best part? Since it doesn’t come with fats or cholesterol, you can get all the protein you need with a significantly lower risk of cardiovascular disease. Thanks to its high carbohydrate, vitamin, and mineral content, apples have the perfect storm of nutrition to help you stay energized all day. Eating plenty of fruits and vegetables helps reduce the risk of many diseases, including heart disease, high blood pressure, and some cancers. In addition, fruits and vegetables are rich in vitamins and minerals that help you feel healthy and energized. While they're delicious on their own, fruits and vegetables mix extremely well with countess dishes. From toppings on a pizza, to supplementing a sandwich, to spicing up soups and salads, they provide the missing element to your meal. Why go to the market when you can just grow what you need in your back yard? It's easy to enjoy these fresh treats without running an errand.